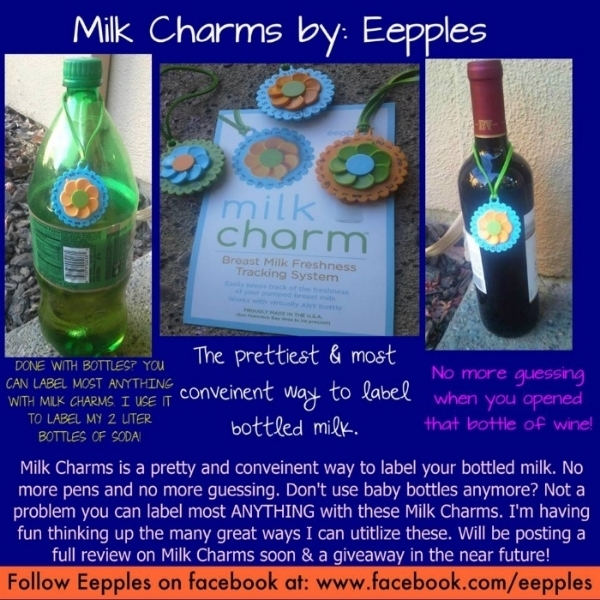 Eepples Milk Charms the prettiest way to label your milk! I don't even know where to begin with this awesome accessory, First of all, what is Milk Charms? It is a pretty way to label milk in a bottle, or any liquid, in any kind of bottle for that matter. The idea for Milk Charms is to not have to worry about tape, pens, or sticky notes and to just hang the little charm around the bottle. No more questioning how long the bottle was left in the diaper bag. Just a simple turn of a dial and you can track the exact time and date. It's actually sort of brilliant really and I'm kicking myself for not thinking of this idea myself. Kerry contacted me at Breastfeeding Mama Talk excited for me, as well as a couple of my BFMT volunteers to try out Milk Charms for ourselves. I love how confident they are about their product because it shows how proud they are of their creation and they just want it shared with the world. I also think it would make for a unique conversation piece, as a baby shower gift. I know people are always asking me what would be a good baby shower gift, that is DIFFERENT then what they think everyone else is going to gift. It would also be a cute accessory to add finishing touches on a diaper cake! Decoration & a product mama could use, two in one, SWEET!!! My favorite thing of all with Milk Charms is it can serve more than one purpose. I stated above that you would place around a baby bottle to track the milk, but what about a wine bottle? Don't you think it would be cool to be able to track when you opened that bottle of wine? Well now you can!!! So this is a product that you buy originally for baby, but get to continue use when baby is no longer a baby! How cool is that? I was having a ton of fun seeing what I could use MY Milk Charms for because I no longer have a need to track bottled milk. I'm also not really a wine drinker. So I sat and pondered and it came to me. Once you open a 2-liter bottle of soda within a few days it goes flat. The taste of flat soda is not very good at all. So now I have my Milk Charms around my 2-liter bottles of soda! The way I use it for my 2-liters, is I will turn the dial forward to the day that I think it would have gone flat by, so that when I go to drink some if it happens to be on or after the day I set it to I know to throw it out and I no longer have to have that nasty, bitter flat soda taste in my mouth! 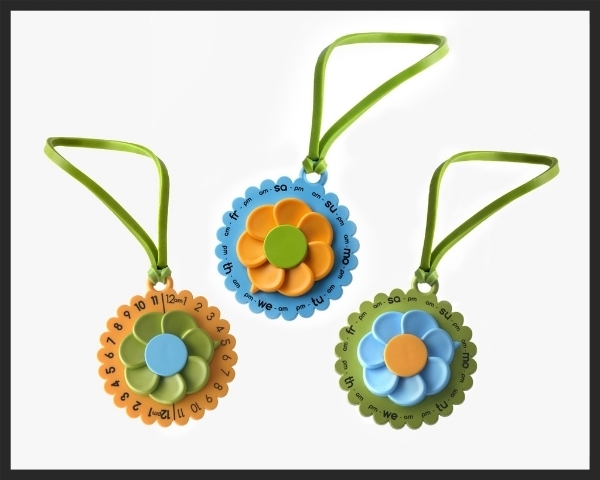 There are many different ways you can come up with to utilize these charms and that is what makes them so much fun! Free 2-day shipping for Amazon prime members!! How cool is that?! Click on the picture below to order!